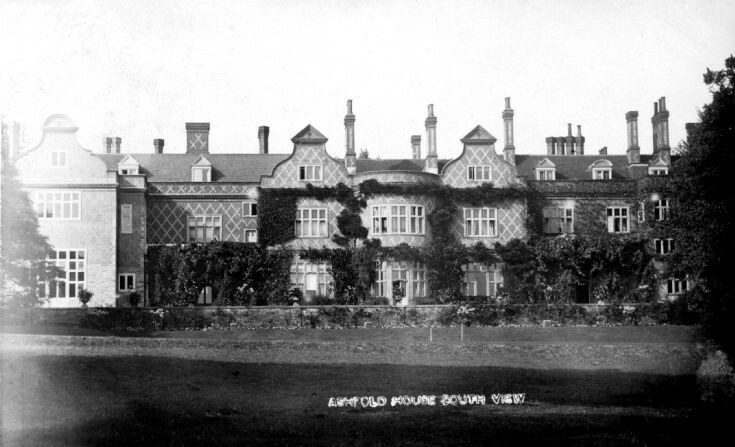 The photograph is of the rear of Ashfold House looking southerly over the parkland. It is very similar to picture #64. Just to the right of centre the two posts form part of the tennis court, but the netting is not in place on this occasion. Other photographs of the front of the house together with some history can be found at picture #61, picture #62, and picture #63.